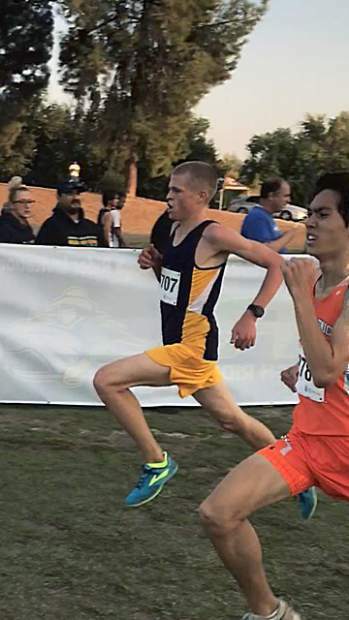 Nevada Union junior Garrett Gough has been phenomenal this year, earning four first place and two second place finishes in Nevada Unionâs first six cross country meets. Some of his times have been outright dominant, besting the second place runner by 30 seconds or more. It’s been nearly 14 years since a Nevada Union boys varsity team has made an appearance at the CIF State Cross Country Championships. If they keep up the pace they are on this season, though, they just might snap that streak. 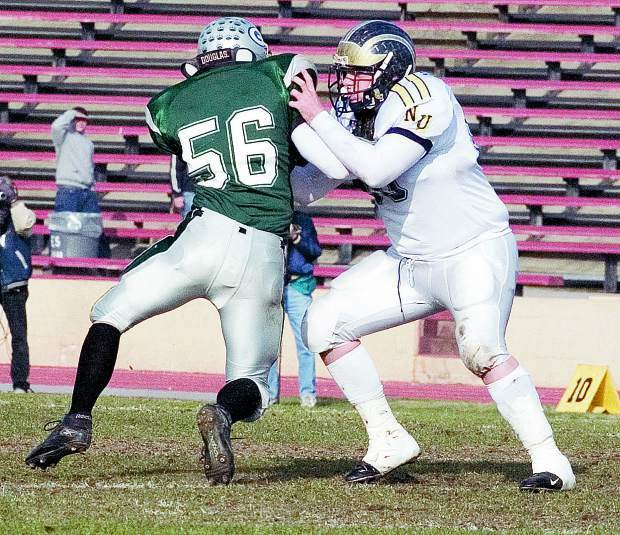 Led by junior Garrett Gough, the Nevada Union squad has been a pleasant surprise. Gough has been phenomenal this year, earning four first place and two second place finishes in Nevada Union’s first six cross country meets. Some of his times have been outright dominant, besting the second place runner by 30 seconds or more. His success has rightfully created a buzz, but he’s taking it in stride. That’s not a case of fake humility, according to co-head coaches Sara Freitas and Angela Marino, but the real deal. Gough isn’t the only one who has impressed this season, however, as both Benjamin Fogiel and Decker Krogh have added multiple top-10 finishes of their own. The trio, along with Cameron Richards, Wyatt Gough, Josh Ross and Joshua Fairchild, comprise a team that is as tough as nails and making moves up the Sierra Foothill League cross country hierarchy. 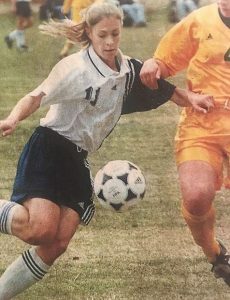 For Freitas, the longer tenured of the two coaches, this year’s boys varsity team is one she’s especially proud of. The mental aspect of cross country is perhaps the most important, Freitas pointed out. When you’re out running, you enter a “deep place of pain” that makes many want to quit, she said. It’s a sentiment Fogiel echoed, saying that the success of one teammate pushes the others to work harder. 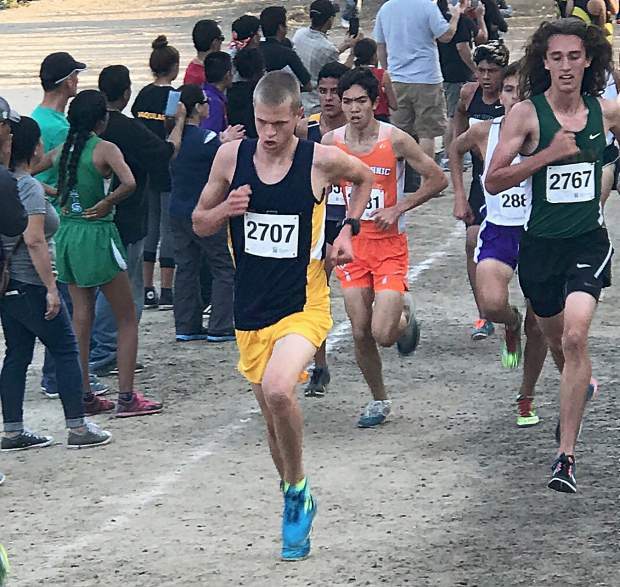 Last Friday, Nevada Union traveled to Fresno to take part in the Roosevelt Roughrider Cross Country Invitational in what was a big opportunity for the boys varsity to take part in a meet with stiff competition. 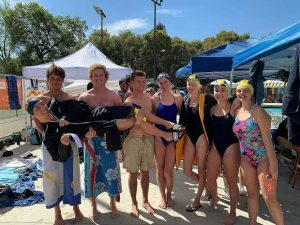 Going up against some of the largest high schools in Southern California, Nevada Union surprised, placing 10th among 38 teams that competed in their category. Garrett Gough came in fourth, while Decker Krogh placed 55th, impressive feats considering 287 runners participated in the race. Now, the team prepares for the SFL Championships on Friday. If they can continue on past the Sac-Joaquin Section Cross Country Championships, the state meet will take place on Nov. 25. For now, however, the team is taking it one step at a time. 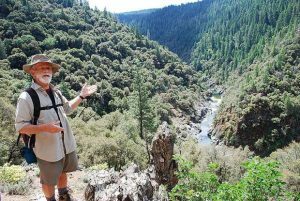 Spencer Kellar is a freelance writer who contributes to The Union regularly.